A few weeks ago I shared some pieces of storage I had stumbled on while searching for myself and some folks I am helping out. 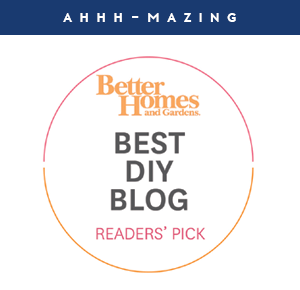 I chatted all about my love affair for sourcing a good deal and finding an item that has a higher end look, but only costs a fraction of the high end inspiration. There is something quite thrilling about saving a dollar, and I frequently try to bust a myth I hear from folks all of the time; the "storage is expensive" myth. 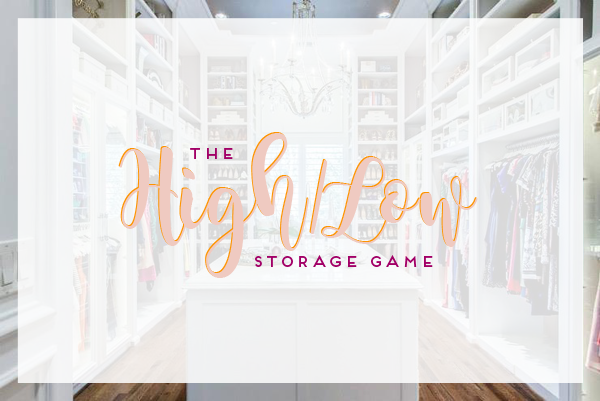 I personally dream of a designer walk-in closet someday, but I also know I can probably achieve a pretty great (and beautiful) look by getting creative with Closetmaid or IKEA pieces. Last time we talked High | Low storage, I promised I would return with some tips that I personally use to source product and shop around for the best price I can find. Today I am here to do just that! First, we need an inspiration item as an example. Because I have always loved all things acrylic, I decided to use an acrylic serving tray as the High | Low item. 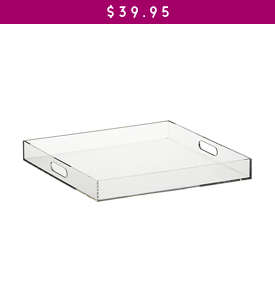 I generally spot these beautiful serving trays at places like West Elm and CB2. Trays are wonderful all over the house for corralling items on counters, shelves, desks, dressers, coffee tables and even in closets. I lovity love a good tray! I feel like I could move right into our local CB2 because I adore it that much, so I selected some trays I found there. The trays are beautiful and really nicely sized. My initial searching for a penny saving version turned up a similar style at Target! I am sure you are not surprised; generally Target is a great resource for finding higher end items on a more reasonable budget. 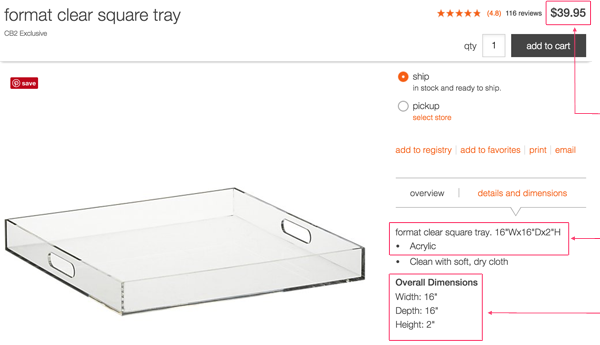 And really, as much as that tray looks like it is hugely discounted in comparison to the initial inspiration tray, I found another one that is even more budget friendly, although it cost more than the tray found at Target. We will chat more about that in a minute. So, how did I find these less expensive versions? OK. So once I find the inspiration item, I look it up online to take note of some important details. At this point you may have to decide if any of the item descriptive properties are worth sacrificing for a lower price, and if you have any wiggle room. I have a great example of how taking note of keywords was helpful while I was on Target's website. 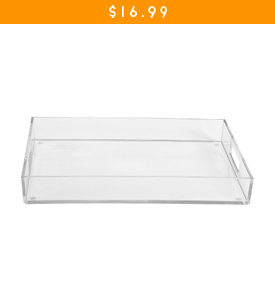 I did a quick search for Acrylic Tray (because I recalled seeing one at a local Target store at one point in time). 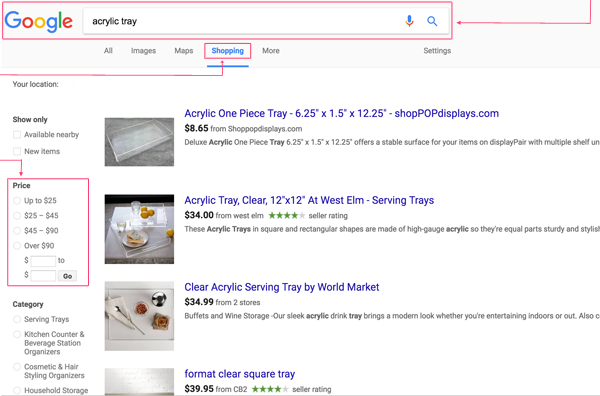 My search only came back with 8 results, and none of them were even close to the acrylic tray I was looking for. I then tried searching another descriptive option of Clear Tray, and boom! There it was! Do a simple Google Shopping Search. Search for those descriptive terms you noted from the inspiration item. Be creative and utilize as many different descriptive words within your searches. Google will search hundreds of shopping sources for your keywords, and you can even narrow your search by your specific budget range. 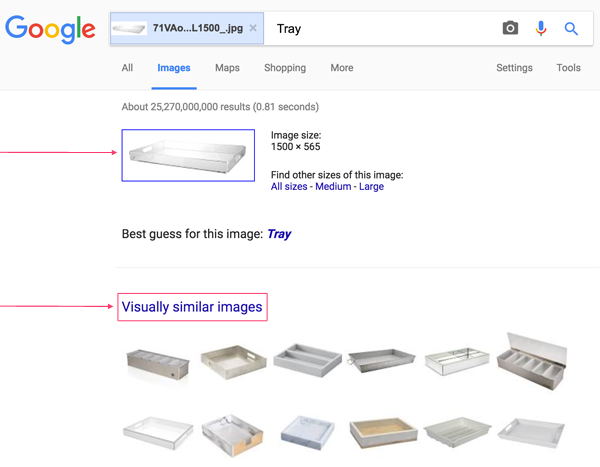 Another really cool way to search Google is by image. I LOVE this, as I am able to try and shop items that I can't find any other way. This is especially helpful while searching for home accessories and furniture in very specific styles that come up with thousands of generic results in the regular keyword searches. To search by image, simply go to google.com/images and upload a photo of the item you are shopping for. Once the photo/item is uploaded, it will search Google for you, and give you the option to view Visually Similar Items. This is not an exact science (although at times I do find images nearly identical to my inspiration piece), but you will find a plethora of similar items to select from, many of which may bring you to new sources and with that, new and better prices. 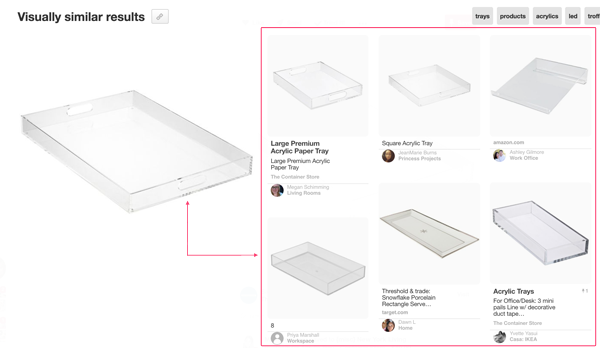 You can also search for products in a very similar way on Pinterest! Once you find an item similar to the high end product you are sourcing, you can click the item, and then click the little magnifying glass nearby. 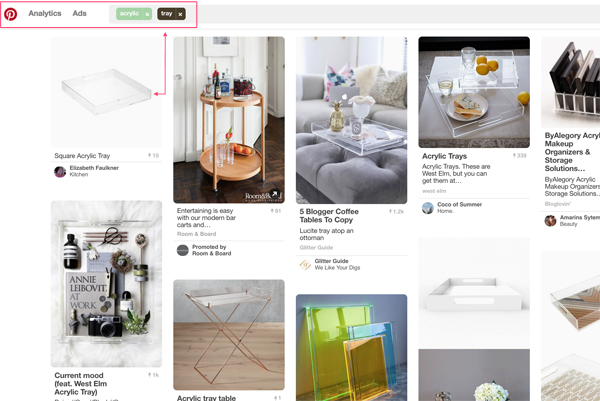 Select the area of the image you want to re-search, and it will look for visually similar images on Pinterest. Search Amazon! For some reason, when Google shopping, amazon.com items rarely show up in my search results. But I know Amazon almost always has the best prices on items I am looking for, and I am a Prime member so I generally receive free shipping as well (which should always be factored in). 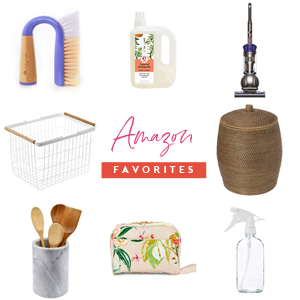 Two things help me when I am shopping for a product on Amazon, and both are extremely handy for budget seeking. First, after I select an item from my shopping search result on Amazon, I scroll down and quickly filter through all of the other items shown in the "Sponsored items related to this search" and the "Customers Who Bought This Item..." and "Customers Ultimately Purchased..." areas. This allows me to see and compare alternative options quickly, and it is especially useful when details such as dimensions, ratings, prices and details are all included. Now that all of my searching has been done, I make note of the items I have found, and really begin comparing prices against dimensions. 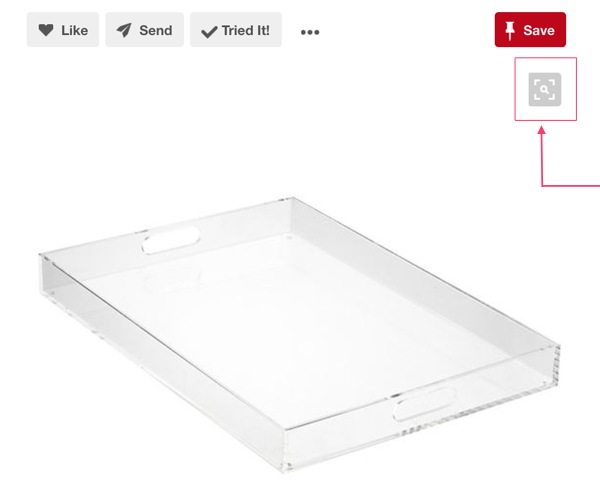 I initially thought that my Target tray was the winner, because it was by far the cheapest "acrylic" tray I found in all of my searches. However! When I started comparing the price per inch, it actually was NOT the cheapest. I found a couple other trays that were closer in size to the initial inspiration tray, and when I did a little quick math, my initial results changed. The moral of the story is that sometimes deals are disguised, and you may not always be getting the best value even though you found the lowest price. It is important to look at all of the combined factors. Don't forget to search local garage sale and thrifting pages online, especially the obvious places like eBay and Craigslist. If you don't mind something coming at you second hand, then this is a huge way to save some moolah. I personally love items that have a little love and age to them, and it feels good to purchase used vs. new! 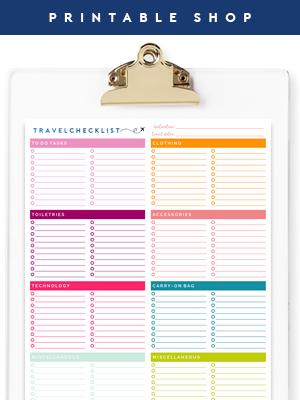 I like to use this Shopping With Intention printable and jot down items we need, and keep my eyes peeled for sales and make note of prices I see on items while I am out and about. It really helps me be a smarter shopper at home as well. These search tips don't just apply to storage and household items, it works for just about anything you can shop for online (so hopefully you can find some creative ways to now source and save on those Christmas gifts!). Consider purchasing bigger ticket items from authorized refurbished dealers. We have had a lot of really great luck doing this for items like my Macbook and our vacuum cleaner. Not only is Amazon a great resource for less expensive items, Target is also a place I always run to when I find something I love at a more expensive store such as Pottery Barn, West Elm, Crate & Barrel/CB2, Land of Nod, etc... Target folks keep a close eye on trends and tend to release similar items that are popular in home furnishings. So that is how I do it. Sometimes I just remember I saw something similar at another location for a better price. I have a pretty visual memory, so that helps me a lot, especially when I am in a hurry or making mental notes of items I need. And although there are quite a few ways to do your searches, majority of them are pretty quick, simple and painless, yet will end up saving you good $$$ in the end. Do you have any additional searching and sourcing tips to add? How do you find budget friendly options for high end and expensive items that catch your eye? 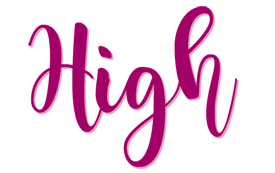 Do you have any exciting recent high | low scores you want to celebrate with me?! Let's chat below! 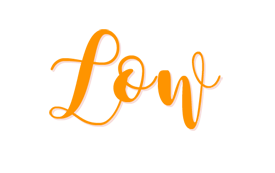 ** Prices listed and product availability are always subject to change based on the product source. I listed the item/price based on the day of the post, but have no control on the prices after the post goes live. This was so informative! Thank you Jen! When you're shopping for "experienced" things, look in atypical departments. 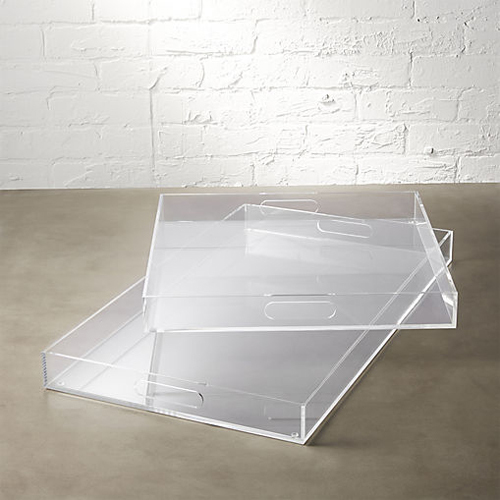 To continue the acrylic tray example, look among picture frames for acrylic box frames that, with the cardboard insert removed, are nice shallow acrylic trays without handholds. Nice for projects with small pieces such as beading. Completely agree! Thank you so much for the added tip! Wow! Thanks for a great post. I had no idea pinterest had that particular search function. Thanks for the tip! This was such a HELPFUL post!! Wow! Thanks Jen!! This is very helpful. 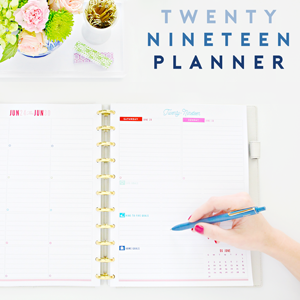 When saving money, the trade off is time. 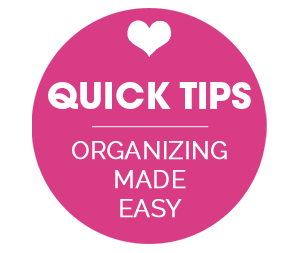 This task to speed up the process will not onlg save you time but also money. Great step by step post. I will be using it soon. That is such a brilliant post, thank you so much! Love it so so much. This is awesome. I had no idea I could use Pinterest to search that way. Thanks!